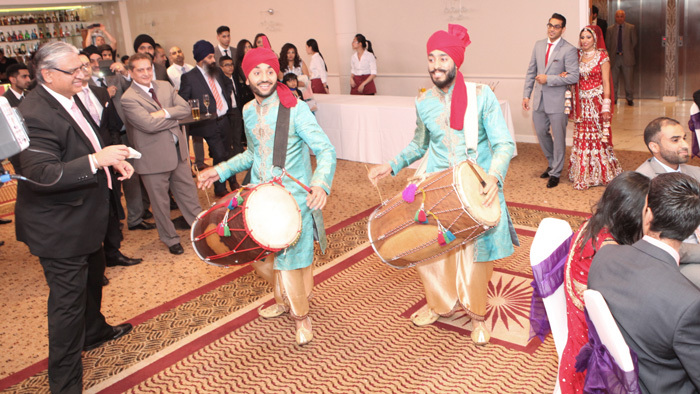 Dhol Players Discover Best Wedding Guestbook? At most of the weddings we have performed at there is a ‘paper and pen’ guest book, placed on a decorated table. 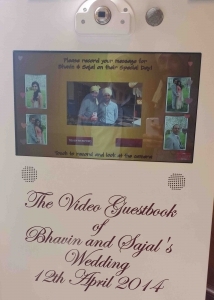 This is the first wedding where we have seen a video guestbook. It was very easy to record a message and compared with a paper guest book it felt more interactive and fun. This is something that all guests would be easily drawn to. It also has the advantage that the guestbook will be digital and therefore it may be easier to access when you wish to revisit the wedding day.Along with photo-booths, this idea is likely to become more popular at weddings. 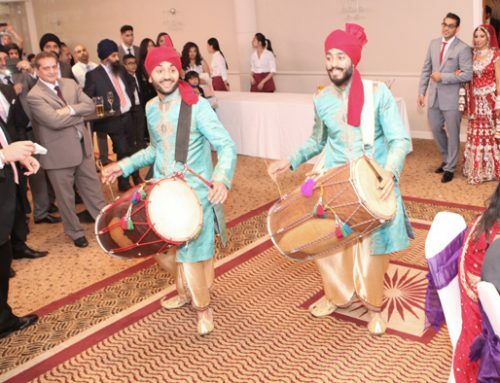 Dhol Players London at Wedding Reception in Hilton London Gatwick. Bhavin and Sajals wedding reception was held at the lovely Hilton London, Gatwick Airport. The very authentic Indian colour choice of the cake looked great. 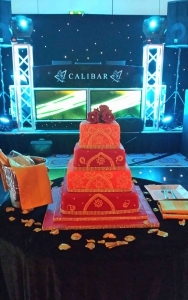 The classy entertainment setup by DJ Gurps of Calibar Roadshow looked fantastic. We thoroughly enjoyed performing on both days: Congratulations to Bhavin and Sajal! Sanjeet and Narinder, Auction House (20/10/13).